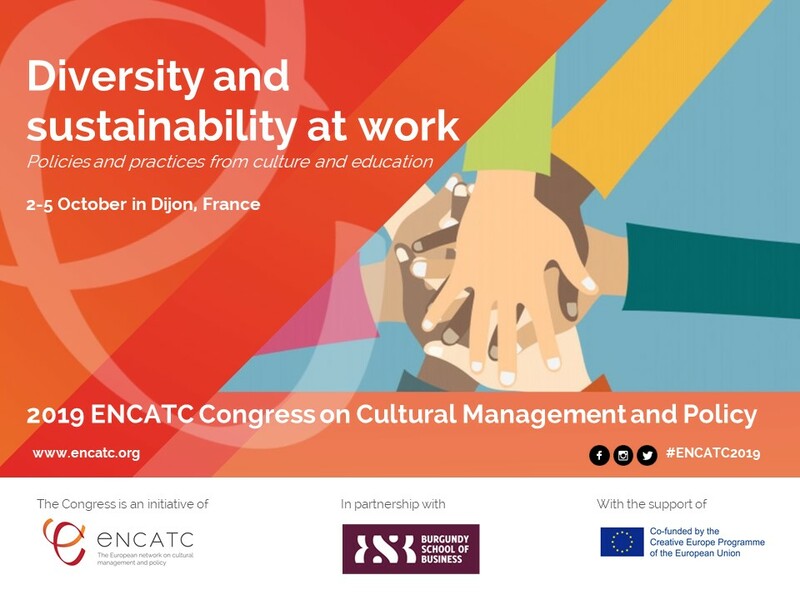 The 2019 ENCATC Congress on Cultural Management and Policy is happening from 2-5 October 2019 in Dijon, France! Under the main theme “Diversity and sustainability at work. Policies and practices from culture and education”, the 2019 ENCATC Congress aims to thoroughly explore the practical meanings of diversity in the cultural and creative sector, investigate how its different connotations are implemented in practice, and how they are contributing to the sustainability discourse in the field. Thanks to contributions from leading experts, the Congress will look at the theme from different perspectives, such as: diversity of cultural and artistic production; diversity of artists/inclusion of different categories of artists; diversity of business models; diversity of audiences; diversity in creative spaces such as co-working and incubators places; diversity of governance and management models among others. A key annual gathering for academics, trainers and researchers from the cultural management and policy educational fields with cross-disciplinary interests, the ENCATC Congress is the opportunity to network with professionals, policy makers and artists and thus to bridge the knowledge gap, to discuss new methodologies in pedagogy as well as promote research esteem. Done in partnership in 2019 with its member the Burgundy School of Business, the ENCATC Congress format includes 6 main activities: the Members’ Forum, the Conference, the Young and Emerging Researchers’ Forum, the Research Award Ceremony, the Education and Research Session, and cultural excursions. Mark your calendar and also keep yourself informed our social media feeds with #ENCATC2019 on Facebook and Twitter. To make a reservation for the event "2019 ENCATC Congress ", click the button below.